A guide to the best baby and toddler friendly hotels in Gran Canaria including hotels with splash parks and on the beach. Discover the best places to stay with babies and toddlers in Gran Canaria in the Canary Islands. This luxury 4* hotel is brilliant for both adults and babies and toddlers. There is an Adults Only infinity pool with ocean views, and a Spa for the ultimate in relaxation and chill out time. There is also a large children’s swimming pool with slides and a splash area for toddlers. The hotel also has direct beach access too, so it has the best of both worlds. 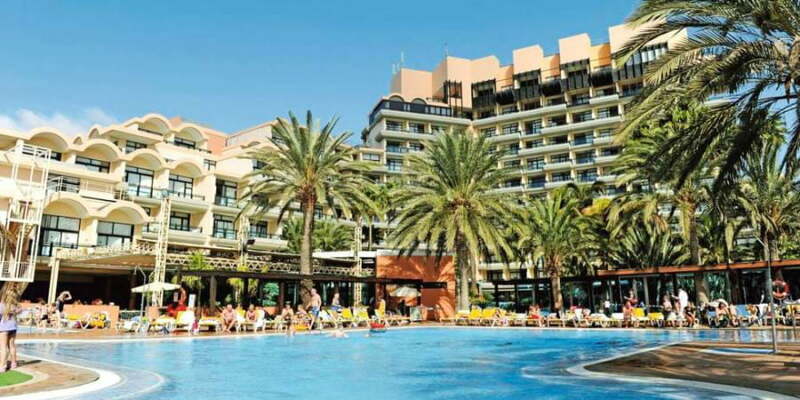 There are 4 restaurants at the hotel including 2 buffet restaurants and 2 poolside bars. Accommodation is in modern 1 and 2 bedroom Family Rooms. 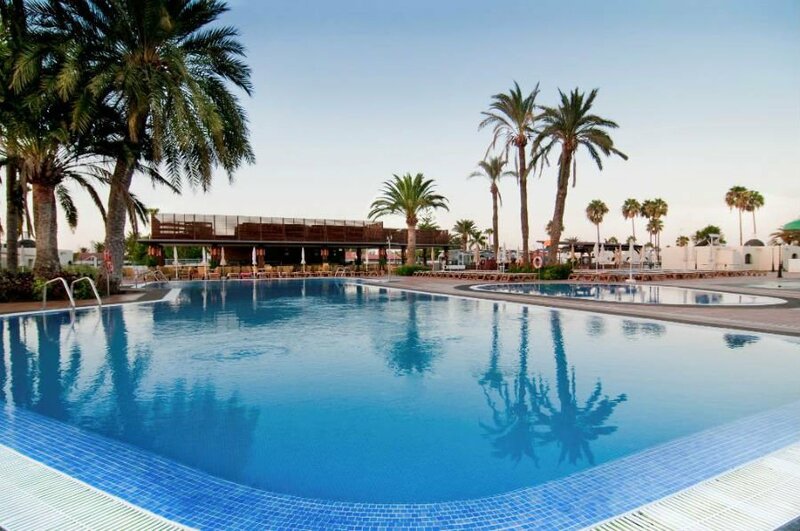 The ClubHotel Rui Gran Canaria is an excellent choice for families looking for a baby and toddler friendly hotel in Gran Canaria. 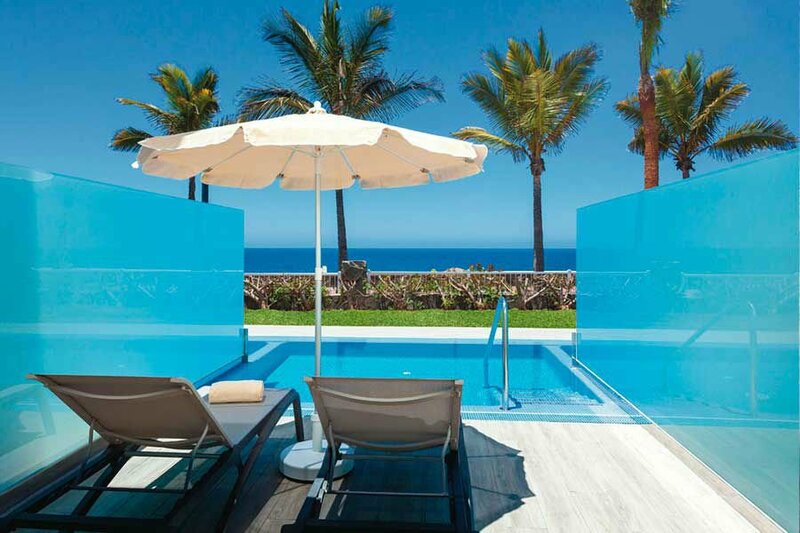 This peaceful hotel is ideal for families looking for a quiet and relaxing holiday in Gran Canaria. 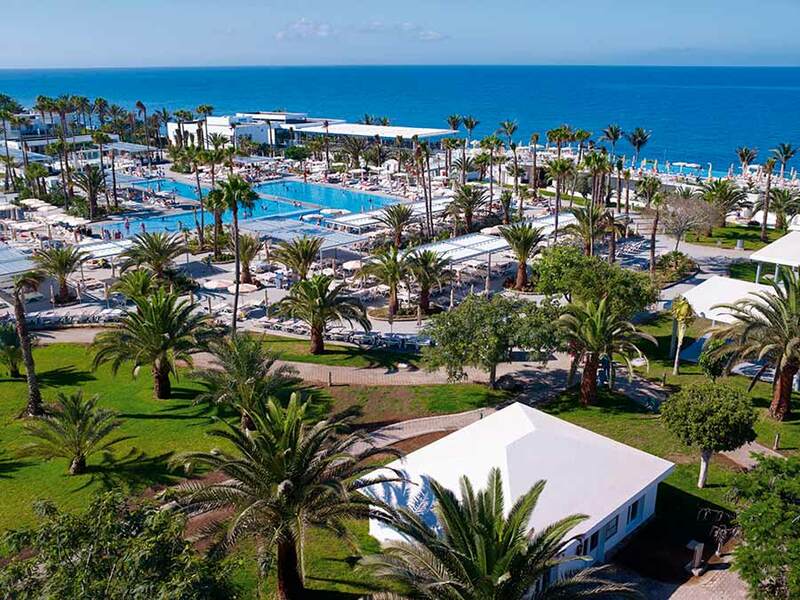 It is located right next to the beach, and has a large anchor shaped swimming pool next to the ocean and a separate children’s pool. Guests can also use the facilities of the Hotel Orquidea next door which includes a splash park and nightly entertainment. There are spacious family apartments and lots of helpful touches to make your stay more comfortable including baby equipment hire and a Baby Lounge for feeds and nappy changes. The Baby Club is a creche where trained adults can look after your little one for up to 3 hours at a time. 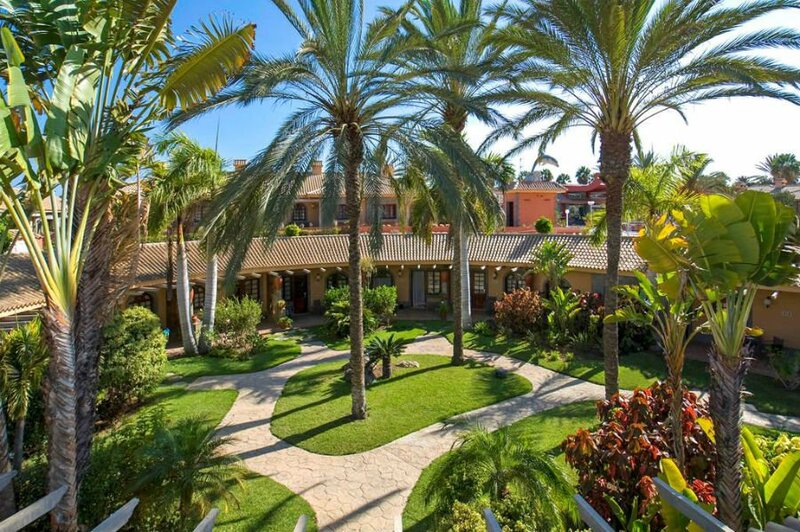 The nearby towns of Maspalomas and San Augustin are a short bus ride away. This swish hotel is in a fab location 5 minutes walk from the beach and the centre of Playa Del Ingles. The focal point is the large circular swimming pool, which has a children’s pool next to it. The poolside snack bar also serves waffles and cakes in the afternoon! 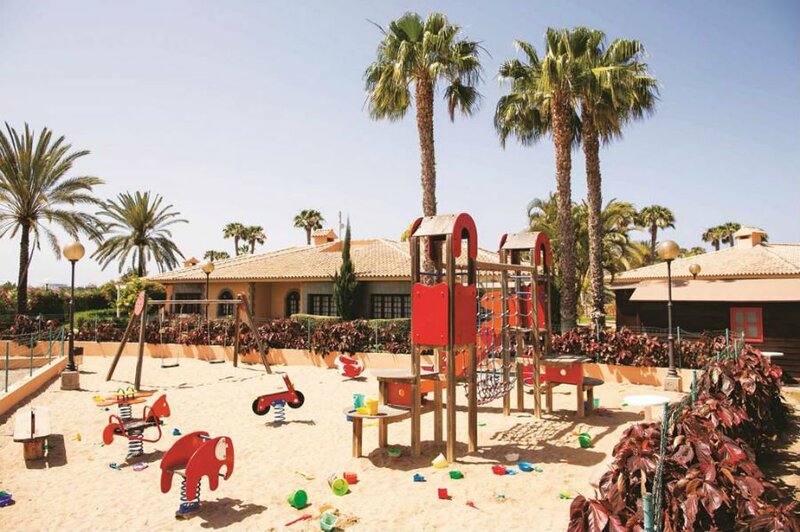 Away from the pool, there is a playground which is very popular with little ones. Family rooms with a separate living and sleeping area are available. 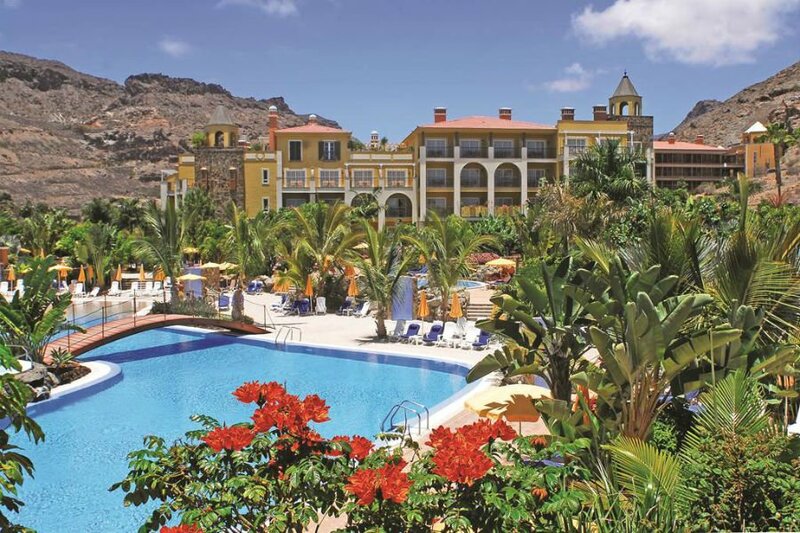 Can you recommend anymore baby and toddler friendly hotels in Gran Canaria?